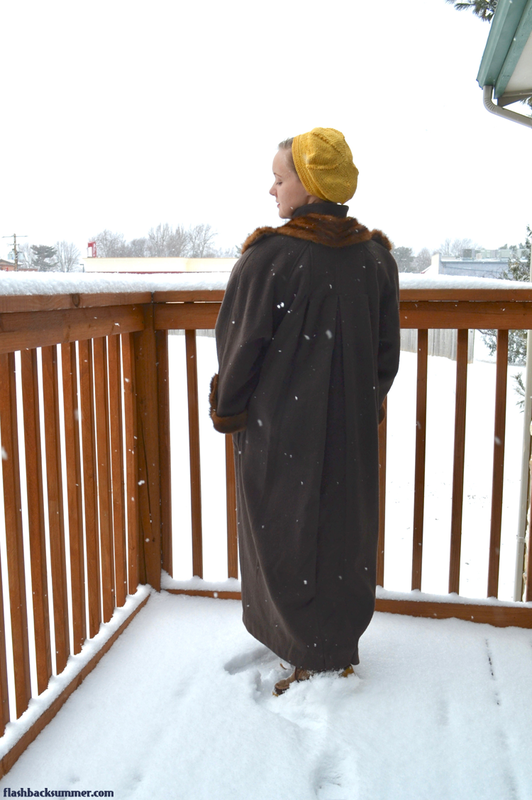 I went on the hunt for those giantly-baggy, super long 80s coats that you can find in thrift stores (though fewer and far between these days). They have lots of fabric to work with and are often made of wonderfully heavy, warm mohair wool. 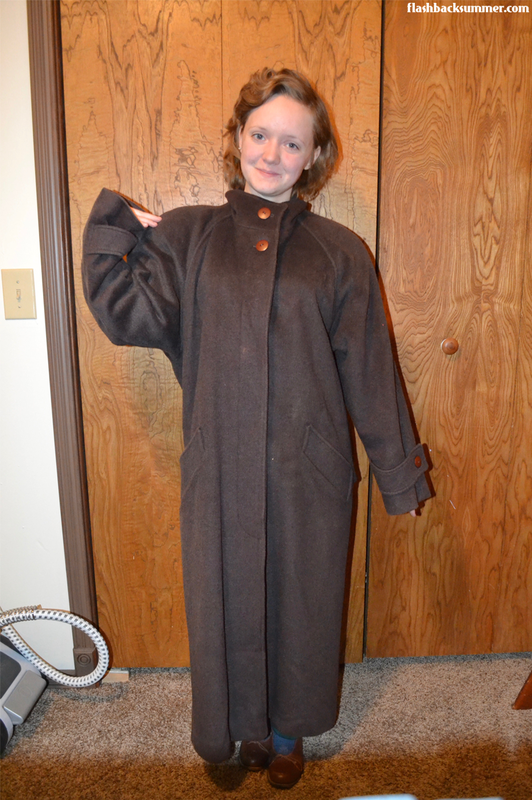 This coat was one that I found, and, boy, it sure did have a lot of fabric! It flares out to about 64" at the hips, no joke! I decided to leave the shoulder pads and keep the shape, but they're a bit too rounded and 80s to leave by themselves, in my opinion. I tacked on this fur collar I have, but I brought the fur straight down instead of a typical V-shape. I've seen fur placement like this on vintage coats, and the collar stayed down well. I also happened to have matching fur cuff accents, so.... obviously those had to go on too to make the whole thing look cohesive. I shortened the sleeves for myself a bit and tacked on the triangular and rectangle fur pieces to the bottom of the sleeve. Nearly done! While it has a nice Deco feel to it, it was also pretty sack-like. I wanted an option to bring some shape to it. Enter bum-belt! It was made of two pieces that extended from the side seams and buttoned in the center. I took the raw edges of the two pieces and sewed them together, then I made a buttonhole. Voilá! Bum belt becomes waist belt! Wearing it makes me feel like a Russian snow princess. While I'm quite happy with how it turned out, I'm not a huge fan of how long it is on me. However, I can't stand to cut the length up (all that fabulous mohair length! ), so I will likely pass it on to someone else to love (still pondering that). I feel it is quite a make-do-and-mend success, though! 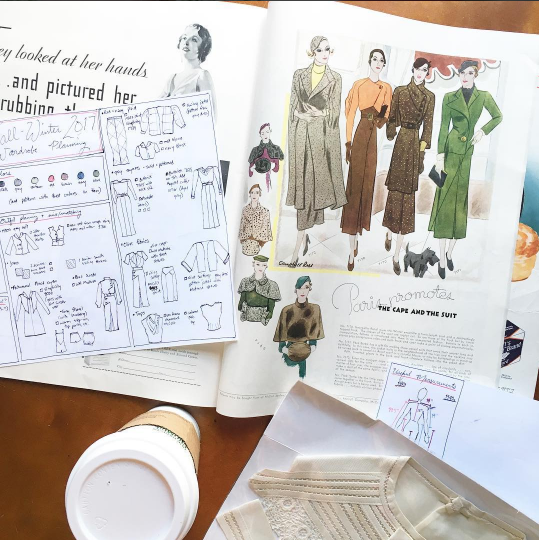 Oftentimes with refashioning projects you just have to go for it and see how it turns out. Sometimes it totally works for you, other times it's a wreck, and other times it will be great for someone else. Either way, I've given an out-of-date garment new life. 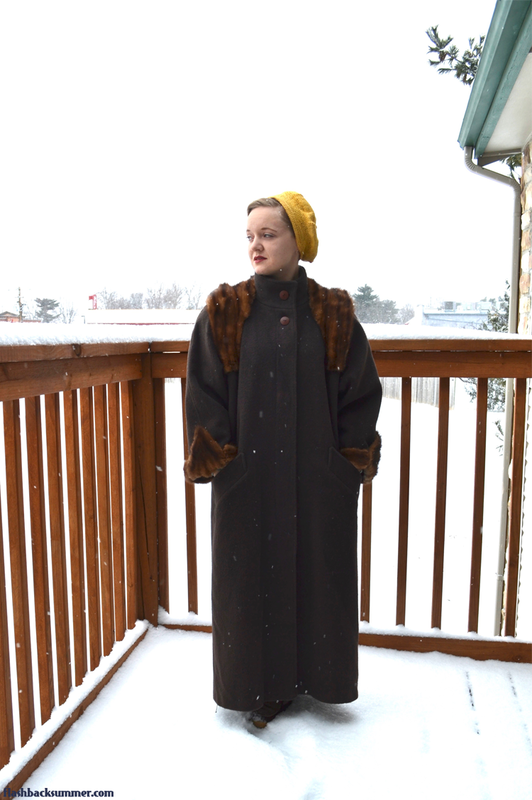 I bought it from Red Racks Thrift Store that funds services for disabled military veterans, I kept a garment out of a landfill, I used vintage furs, and now it's a fabulous "new" coat. It doesn't get more sustainable, ethical, or community-building than that! What do you guys think? 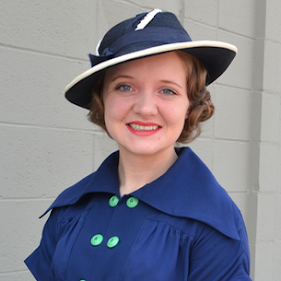 Does it pass for a legit 1930s look in your opinion? 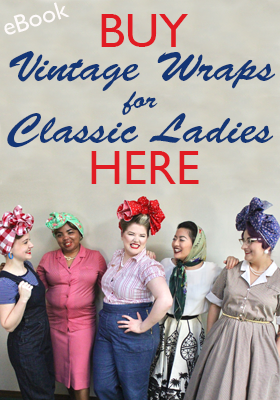 Do you have any refashioning projects you've made lately? Nice job! It looks wonderful and I think you could work with the length if you decided to keep it for yourself. That's good to hear. I'm really quite torn! it looks fabulous! I love the length, although it is a little out of period. i love what you did with the fur! so gorgeous. 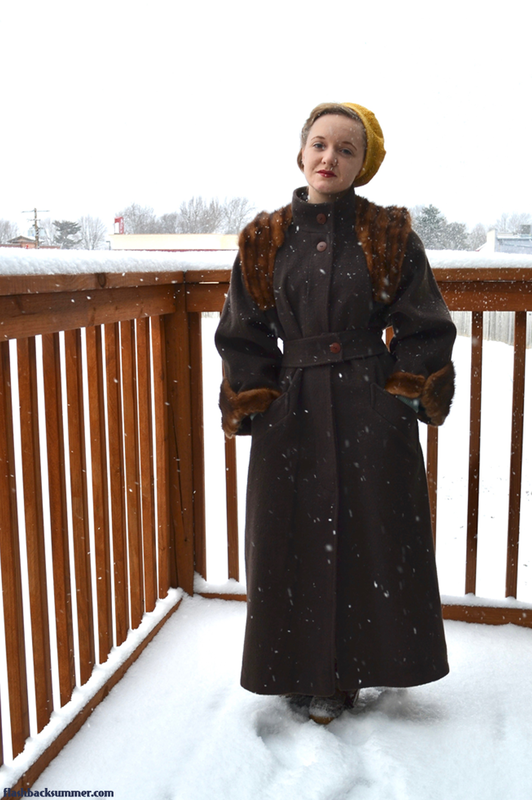 im terrible at refashions, but i did make a coat recently! 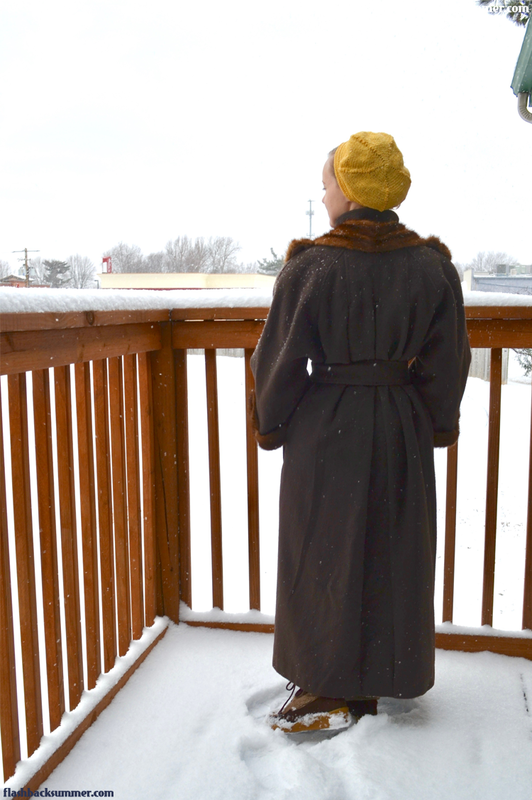 it was a full skirted doubled breasted wool coat for my mother for christmas. also using a vintage fur collar (but mine was curly lamb). i hope your christmas went well! Yeah, it's a little long for me to work with the 30s mid-calf length. But I'm sure some 1930s short ladies had the same problem, haha! And if you post a picture of your refashion, I'd love to see it!! Tag me or share the link here if you get a chance! You did an amazing job! I'd would shorten it for your height and reuse the extra fabric on another project. It would make amazing patch pockets on a plaid swing coat, for instance. What a great job you did! That's very true! I may end up shortening it... but the fabric is so perfect.... Reusing it on another project is definitely a good idea, though! That may soften the blow of having to cut it. Thank you so much! 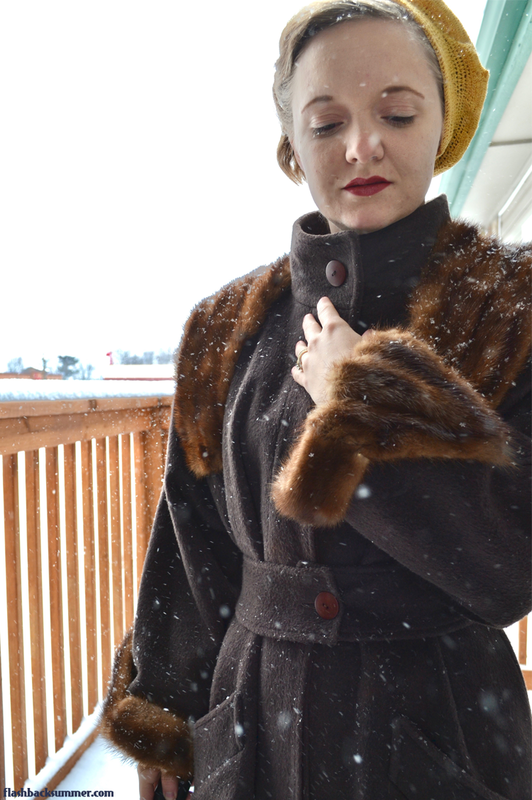 And I remembered how the fur on your chartreuse 1940s coat is arranged on the sleeves and totally took inspiration from it for this coat! That is a gorgeous coat! I really think you should shorten it to make it work for you--it really suits you. Great job!! ACK SO TORN! I might shorten it. You guys are all pushing me in that direction. But the fabric is fabulous. SO DIFFICULT. I think I need to sit on this thought for a few days. This is fantastic! Love the fur trim, it really gives it that 30s vintage feel. I can see what you mean about the length. I would be tempted to shorten myself, maybe just a few inches so it hits at the ankle. But I can see why you are torn because of the material. I would say go for it! Nice re-use of a rather unattractive coat! This turned out so well! I am in general not a fan of the swing vibe because a little waist cinching just makes everything so much more flattering! The length is a bit long, but will definitely keep you warm. you relly look like a Russian snow princess! I agree with what others have said and think you should shorten it. It wouldn't need much off to get the mid calf look. You could use the leftover as trims for something else, or make self covered buttons for the coat. Or even reattached it at the bottom over the top of the new hem to make a banded section at the bottom. I'm not sure if that would be too fussy (cover it in fur??) but it could work. 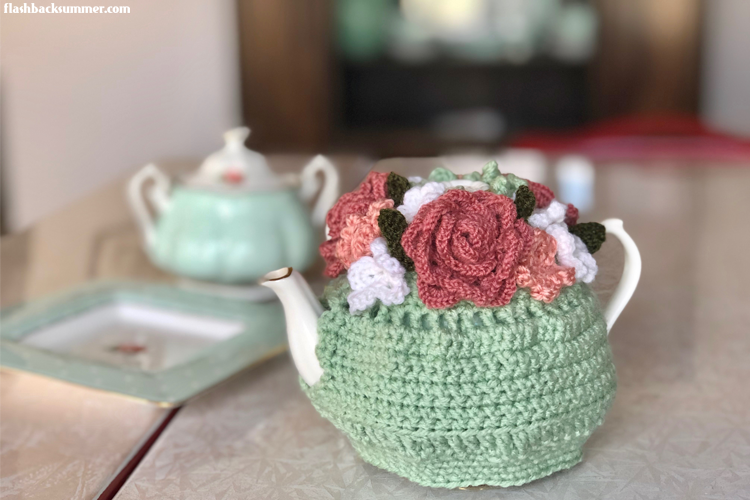 I think it looks great as is, but certainly shortening it a bit, with all of the wonderful suggestions that the talented seamstresses have already made, would look fabulous also. Great job updating that coat! Wow it's adorable! 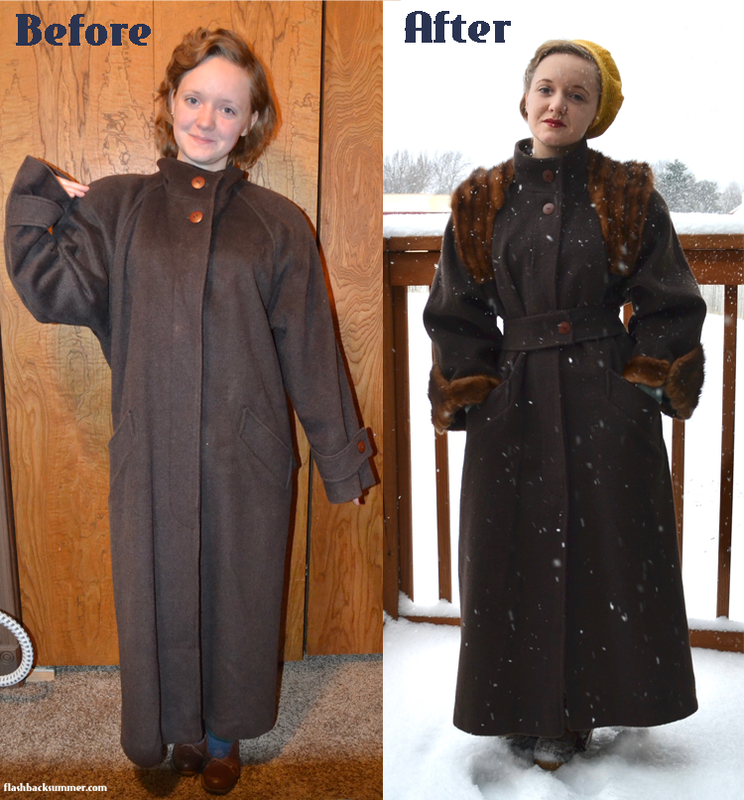 And what a great idea to upcycle an old coat and give it life again! This is wonderful. You are so good at refashioning things. I am so impressed. If you like everything about it other than the length I would shorten it so that you can keep it and wear it. Maybe the off cut fabric could be turned into a matching hat or fur trimmed muff? I literally can't even with this! You did a stunning job, and that belt really makes it stellar! We just finished a re-fashion sewing camp for kids at my shop and I wish I had seen this sooner to show them! My own refashions are not as ambitious at the moment but I did create a shrug (inspired by a 1920's cocoon coat) from an organza wrap and a vintage collar. Just posted about it on my website. If you are interested in looking at it, let me know. Excited to read more about what you are up too. Cheers! That's a great idea, using the scraps to make a hat!! I still have the coat (I think I'll want it when I'm eventually somewhere really cold), and I think I will be shortening it. Sometimes it just takes time to detach oneself from the project and be able to decide later.